Given the fact that we have so many different ways to cook a dish, we mostly resort to the most easiest and fastest method that can get us the dish done. We have been using Rice Cooker for over two decades. I remember Amma having about 3 different sizes for different occasions. Each one makes its appearance during a party or when we have more relatives visiting us. The same happened with me as well. During the initial period of setting up my kitchen, parents took me for shopping and got me various appliances without which you can’t run a kitchen. I got my mixer, grinder, stove top, Rice Cooker, Blender and some more. Trust me I have them all even now. 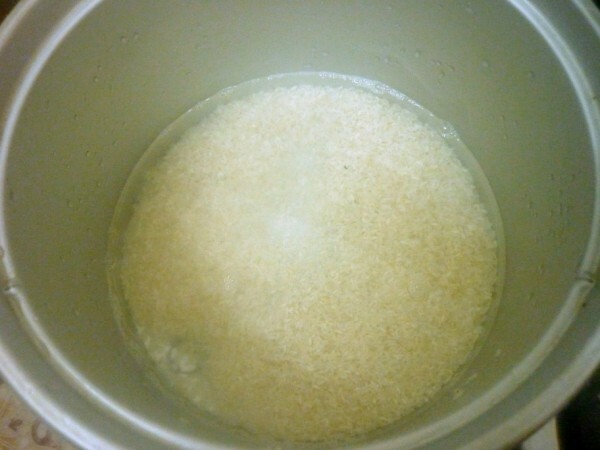 The Rice cooker that Amma got for me was for 5 litres and over the years I have got 1 litre and 2 litre as well. With the smallest kitchen possible, I have stocked up enough that I actually can’t share the space with another person. Anyway the point is, for cooking we have ended up being dependent on so many Electrical Appliances. I remember Amma having those stone grinders, Mortar and Pestle made of stone. We used these stones for all sort of grinding and somehow dishes turned out great. In the modern times that we unfortunately find ourselves, we do not have enough space to keep these nor have enough time to spend grinding on the stones. So we resort to Electronic Appliances that are helpful in grinding, mixing and what not. 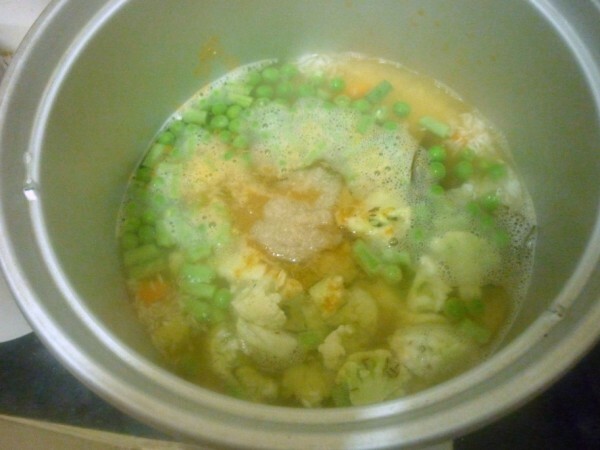 For the final Week of BM # 24, I took up Cooking with Electrical Appliances, where we have to showcase a dish that’s prepared using any of the Electrical Appliances. 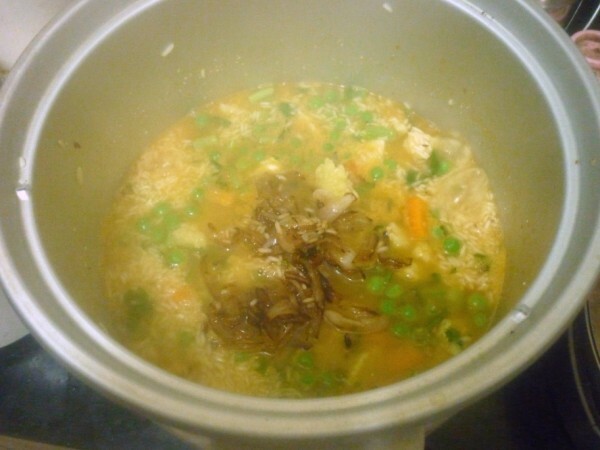 For the first day, I took up making Vegetable Biryani from the Nippo Rice Cooker. The recipe book that accompanied the cooker, has some very pretty and tempting pictures. If you must know the entire Cooking took only about 30 mins. We have a power shut down for 2 hrs and I remembered I had to make use of this just about 30 mins before the cut off time. I ran like an obsessed person, cutting everything and grinding the paste etc in record time. Athamma was surprised that I hadn’t made the Vegetable Biryani from this book till date, I clarified that I may have cooked and even shared, but the fact is for this theme I got to show pictures with the cooking. She didn’t understand of course, knowing it’s another one of my mad thoughts taking flight! 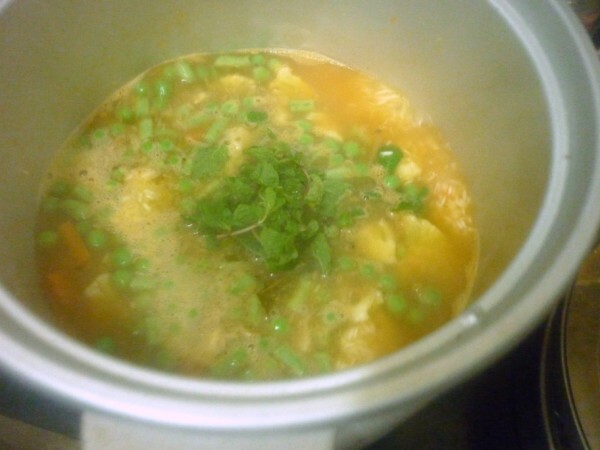 In the Rice cooker pan, make sure to place the plate, Transfer the rice to the cooker. Pour water and switch to the cooking mode. 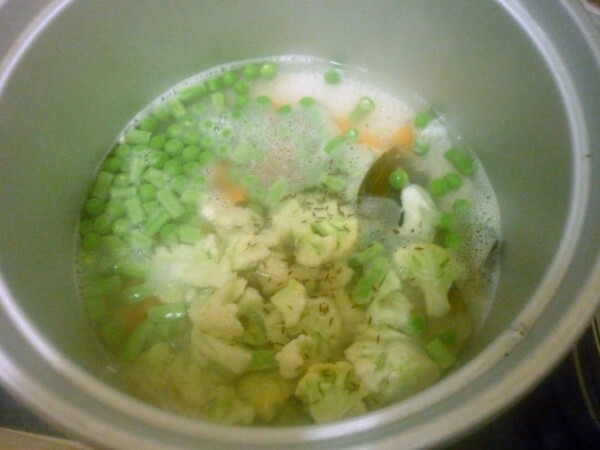 Then add salt and diced vegetables. Add shahjeera, bay leaf. Replace the lid. Heat ghee in a kadai, brown the onions till brown. Pour this over the rice and cover again. Add the ground masala, mint, coriander leaves to the rice. Stir and close the lid again. When the rice is cooked, the switch automatically goes to keep warm position. 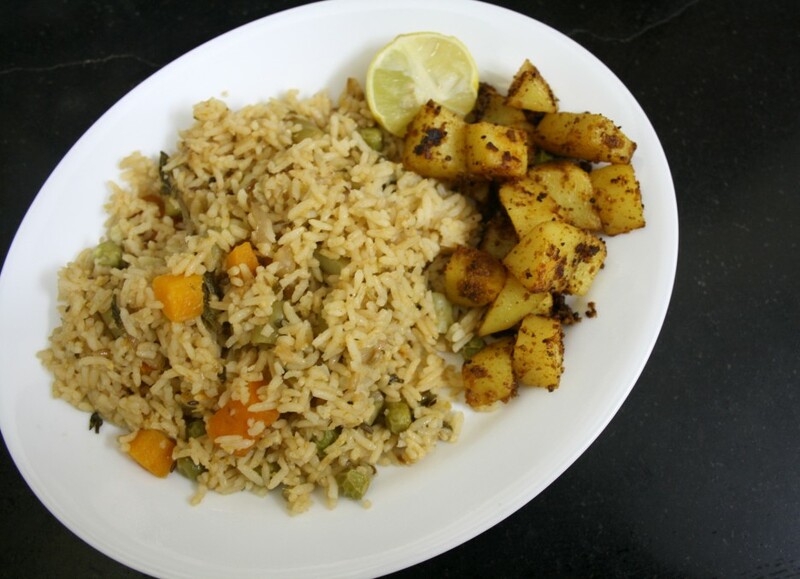 I cooked twice vegetable briyani in rice cooker and love it, but somehow felt like saying this rice cooker method is bit time consuming that the stove top. 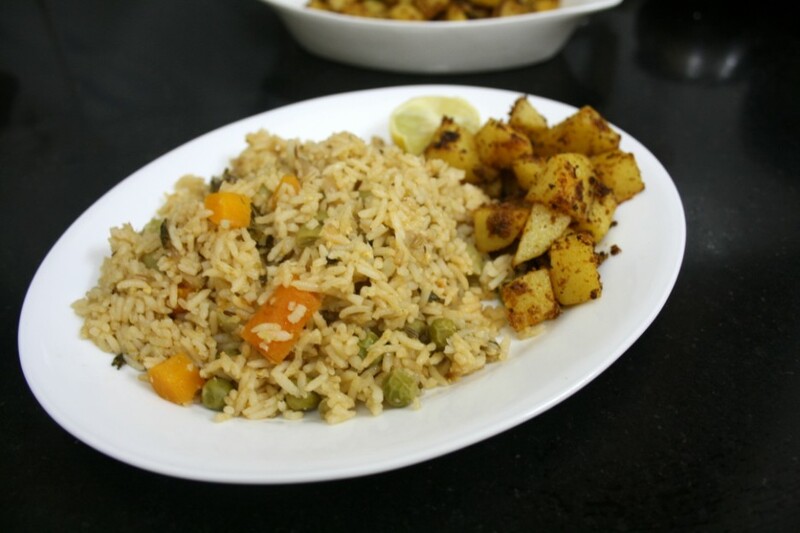 Briyani looks yummy and delicious. 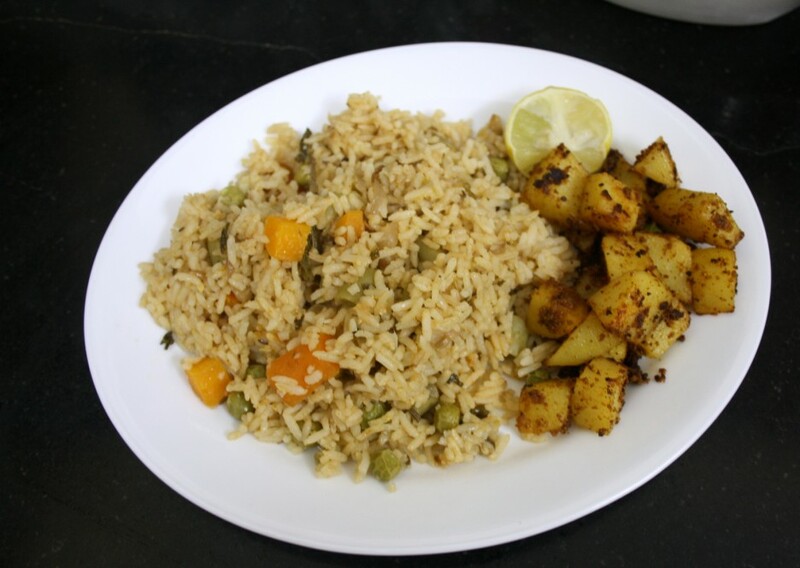 wow such a delicious combo with the spicy potatoes… the plate is looking so picture perfect!! looks perfect.. 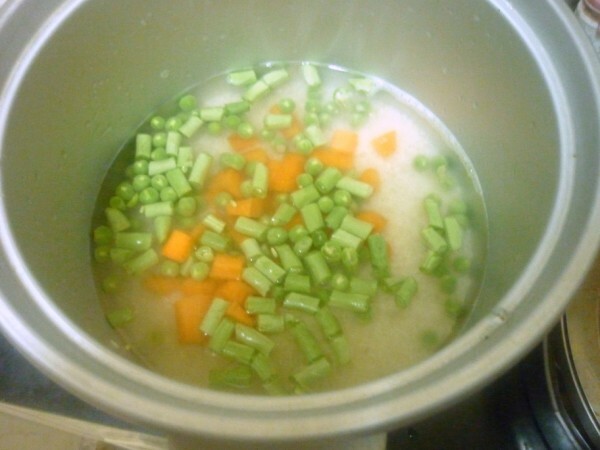 I too have a rice cooker, that I now remember not using … LoL ! Good one valli. Biryani looks great. 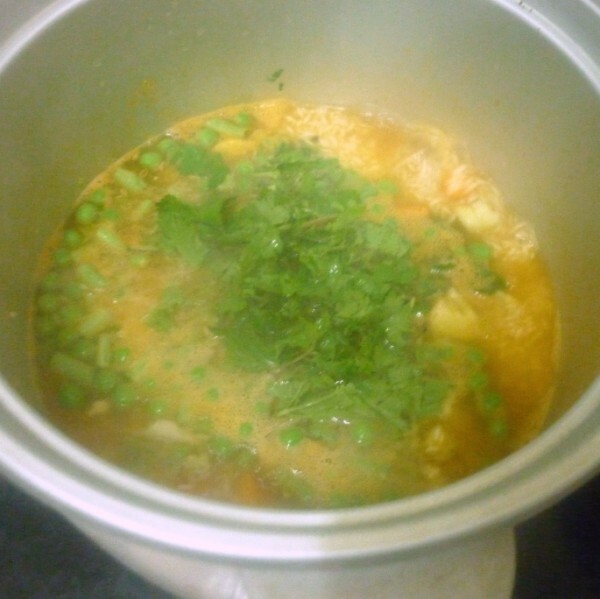 Rice cooker is really a useful appliance to prepare rice dishes. Looks great Valli. Will love some myself. Chutney ground in the stone grinder tastes the best!My grandmom uses it sometimes. 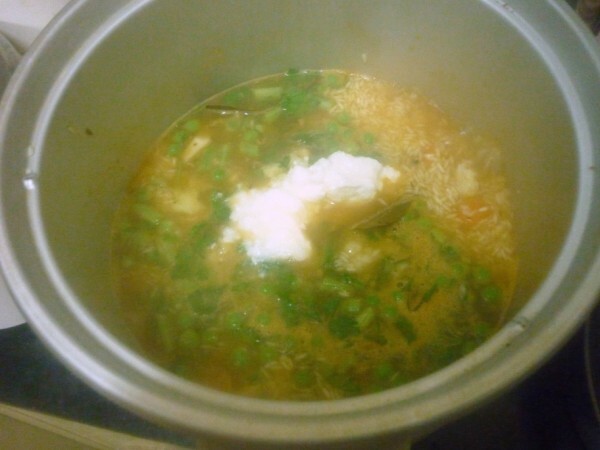 Rice cooker is probably one of the few appliances that I don't own. I have 4 pressure cookers and never had a reason to buy a rice cooker.